On 18Dec2011, Committee Members sacrifice their Sunday’s morning for a walk around the Taman to get to know the resident and at the same time collect the association member’s fee. The walk was a success !! 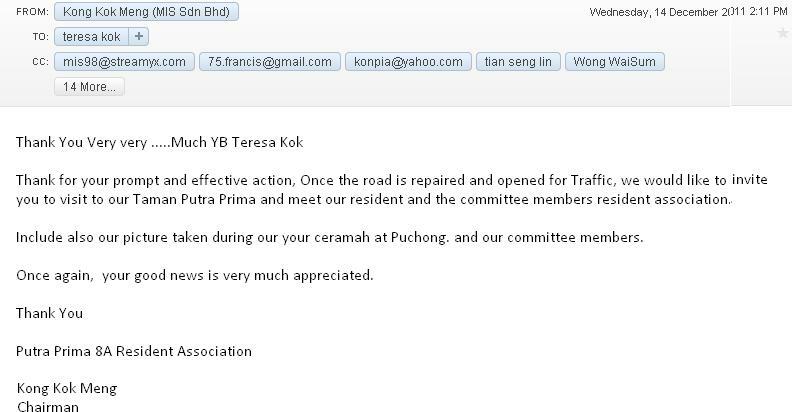 Budget to repair Sunken Road at Taman Putra Prima Puchong Has Been Approved ! !